Let’s just get this out of the way. An FFVII full-on HD remake is coming, and this is probably one of the greatest pieces of gaming news ever. People will hate on it, but that’s just going to happen. Final Fantasy VII has rightly earned its place as the holy grail of JRPGs. Part of this is certainly its place in time as a game that reinvigorated the genre, but the game is just awesome. I will have SPOILERS in the following. 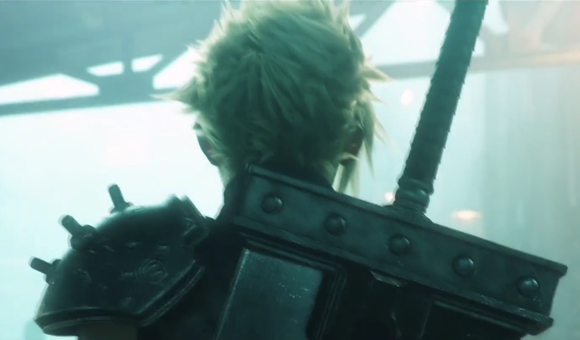 Many naysayers have stepped up both before there was a remake in the works and now that it has been announced to basically say that one of the things that makes FFVII so near and dear to us is the enormous nostalgia that factors into our assessment of the game. Look online and you’ll find all kind of pictures featuring screenshots from the game saying things like “This scene wouldn’t be as funny/epic/etc. in HD.” Part of the argument is that the blocky graphics and the games sometimes self-referential humor about them is what made us love it so much. Thus, people will say: Imagine your favorite scene in FFVII. Now think about that scene in HD. Still sound like a good idea? My answer: Okay, I imagined my favorite scenes from FFVII in HD. It was awesome. Yep. There is far more to FFVII than some good shots of humor from blocky graphics or some nostalgia from a game I enjoyed so long ago. It had genuinely innovative gameplay, a great plot, and–at the time–superb graphics. Do you seriously think that any of these factors can’t be carried over into a remake? Stop trying to rain on the parade, folks. Let people be excited. The fact that Square Enix execs have mentioned redoing parts of the story hardly surprises me. Think about the amount of text in FFVII compared to the amount of dialogue in games like Mass Effect. It’s paltry. There’s going to be a significant amount of added dialogue in the game, if you ask me. Moreover, the fact that large portions of background was left untouched or unexplained means that Square Enix can take this opportunity to expand on these details and give us, well, more of what we love. Honestly, in my opinion it makes absolute sense that they would do this. Would it be awesome to have a remake that just updated the graphics and left the game untouched? Sure. But I think it will be even more awesome to have a remake that not only updates the graphics but also fills in important plot points and gives us more dialogue. All of this, of course, is with the caveat that they stay true to the main plot of the original. This means that major points and characters should all be there. Things like Aeris/Aerith (I don’t care which is default) getting killed by Sephiroth just as you think you saved her… those things should remain largely untouched. Ah! But what about the game systems? Will they change things like the battle system, mini-games, and the like? I think that absolutely they will. Here are my brief thoughts. First, I hope they leave the Materia system largely alone. It was pretty awesome being able to customize your characters based on the Materia they used, to level up the Materia, and so on. This system could be slightly modified but overall it was great. Second, the battle system could be updated. Was it fun? Yes. Does it remain fun? Absolutely. Could it stand for an overhaul? Yep. I don’t know what they might do here, but I could see this being really done differently. Third, mini-games. There are a lot in FFVII, and I hope to see them continue to appear. I wouldn’t mind some more being added too, like the cool card game from later games. I guarantee they will change these a lot and probably make it so you don’t have to complete any to beat the game. The heading pretty much says it. I want an epic-looking PS4 that is themed after FFVII. Make it happen, folks. So what are your thoughts on the upcoming remake? Please don’t use this as your forum to just attack anyone who’s excited about it, but I am curious to know what you would like to see or not see in this remake. I enjoyed the thoughts from the editor over at RPGamer on the remake as well. I think it’s worth reading if you’d like to take the time.